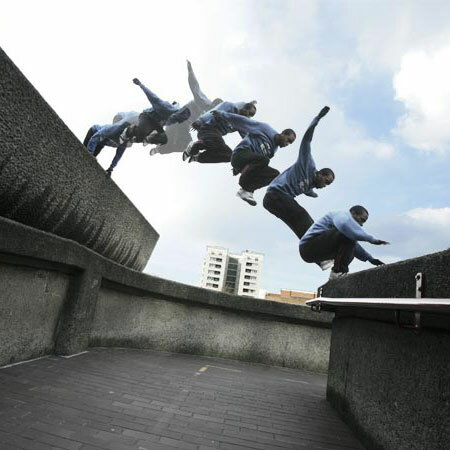 Parkour has recently gotten very popular on television and in film. They show guys doing death defying jumps and enormous roof gaps across buildings. This is NOT how parkour is! 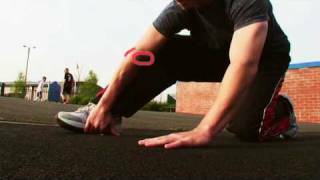 We traceurs only perform a risky move when we are either put in a critical situation or have trained on that specific move and are 100% confident in the jump. If we are not feeling it for what ever reason we do not do it. The last thing you want to do is severely injure yourself or die. 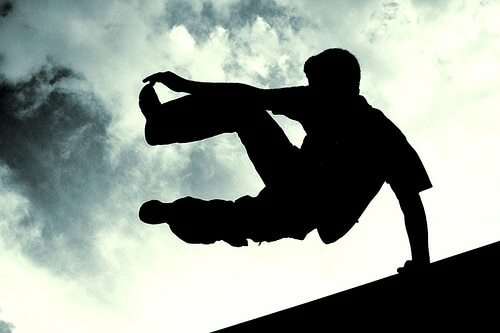 Parkour is a very physically demanding discipline. Always consult a physician or doctor before you begin training. 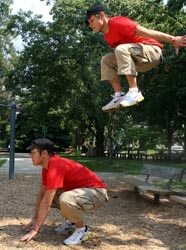 Parkour is also very inexpensive to get into. Ha all you really need are some comfortable workout clothes and some running shoes. ents themselves will be added into the conditioning routine. You will want to condition about 3 times a week and involve a mix of specific workout routines.